We're pleased to introduce you to our lovely connection, Roger Hinds. Roger is an honorary member of the Cityette family and will be hand-stitching our pillows. 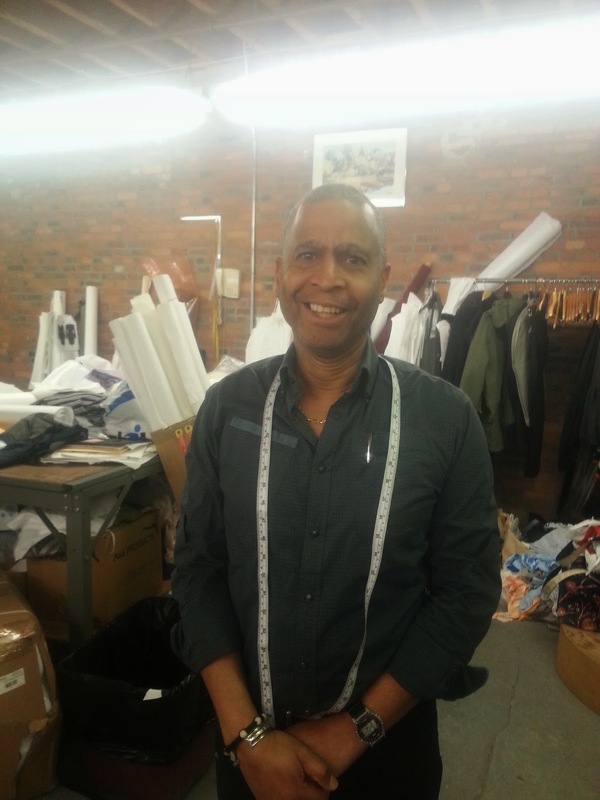 Roger has over 30 years of work in production, patterns and samples, and is a graduate of the esteemed Fashion Institute of Technology. He's a hop, skip, and a jump down the road in downtown Boston near the SoWa open markets and we are so happy to have found him/his skills and expertise! Exciting to think about all the things that exist in Boston that we don't know exist, but a bit frustrating, too. ROGER! We've been looking for you, buddy! How have you been hanging out this long right under our noses?! We took this photo last Friday when we stopped by to drop off a large batch of Spoonflower fabrics to him for assembly. He's sort of a perfectionist and we are too, so hopefully it's a match made in heaven... stay tuned for sneak peek pics from when we stop by to check on progress later this week!